Venetian eye masks are made out of a lightweight, yet durable plastic molded to fit face. 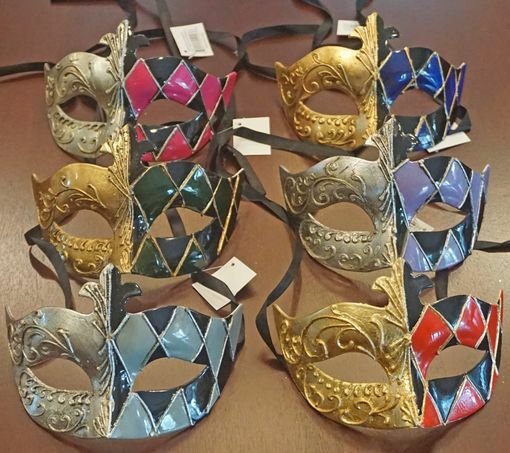 This mask is artfully done with lazer cutouts and hand painted with metallic's. Masks come with black ribbon ties. Six colors to choose from.